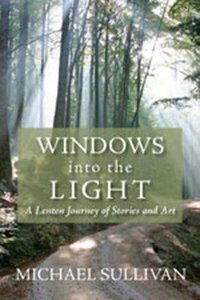 Building on the interest generated by Sullivan's previous art and spirituality title, Windows into the Soul, this volume will focus on the journey from darkness to light inherent in Lent. By using an easily accessible liturgical format, the book will provide a pathway for those who walk from Ash Wednesday to the empty tomb of Easter. Organized around holy days and Sundays in Lent, each chapter will begin with a prayer or poetic excerpt, followed by scripture for the day or week. A narrative will then expand on the themes introduced by the prayer and scripture. Unlike Windows into the Soul, the exercises that follow the narratives will be simpler, mostly collage exercises that use differing techniques. By simplifying the method, the book will appeal to a wider audience. The bulk of the writing will be in the narratives themselves, something requested by readers attending workshops held since Windows into the Soul was published. SOUL QUESTIONS, popular with readers, will guide the spiritual exercise following the narrative. THOUGHTS FOR THE JOURNEY, also popular with Windows readers, will complete each chapter with suggestions for further reflection. About "Windows Into the Light"